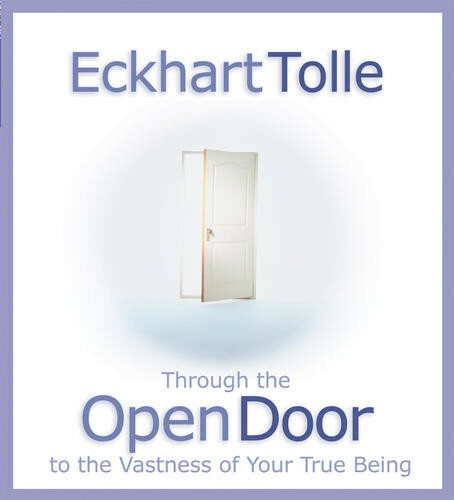 Eckhart Tolle offers direct guidance into the profound experience of pure presence. Describe how to achieve Space Consciousness--learning to focus on the underlying field from which all forms and thoughts arise. Discuss how to refine your alertness to become alive and present with every cell of your body. Summarize the illusions that lead to suffering, spiritual longing, and the need for more time in our lives—and how to dispel them. Explain how to discover true liberation beyond the limits of the thinking mind and the little self. Once you've experienced the power of the present moment, what's next? Eckhart Tolle, who ignited a spiritual awakening in the West with his bestselling The Power of Now, invites you to join him on a path that takes us even further into the profound experience of pure presence. Eckhart's listeners often report that they play his recordings time and again in order to experience his unique ability to transport them to a state of awakened consciousness. Now, the legions of fans who turn to this modern spiritual beacon for guidance are invited to follow him Through the Open Door into a new world of vast aliveness. This is another excellent session by Eckhart! I always connect and resonate with him in any of his teachings. I highly recommend this session. He is the only teacher that I know who gets straight to the point of "how to" not be led around or deceived by the ego. Eckhart really knows how to teach you to rid your life of unnecessary thoughts that build anxiety and make you suffer by being present now. That is main thread through all of his teachings. You will learn how to live your life without fear and anxiety by simple being in the present moment. If you have been searching for the truth and want a true transformational experience then listen to Eckhart Tolle's teaching. One tip that I learned is that when listening to any of Eckhart Tolle's teachings, I recommend that you only focus on his message and do not allow your egoic mind to steer you to focus on other distractions that tarnish the simplicity of his message. What Eckhart is sharing with us is very simple and uncomplicated. He gently guides you to be aware of your natural self and to live that life of joy, instead of the life of an "imposter" that we have been conditioned to believe we are by our egoic minds, filled with definitions and wrong beliefs about who we truly are in our existence. The one thing I can say about Eckhart's teachings, and Eckhart has said this himself, is that he has only one message, and he always says the same thing. Each CD or DVD always points the student back to this moment, or the Now. Each CD or DVD also contains a unique phrase embedded in the repetition that helps unlock my mind for an "Aha!" moment. This CD has a stunner in Chapter 6.